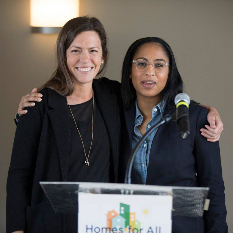 Homes for All is currently collecting survey responses from organizations that have previously endorsed the Homes for All agenda to gather input on policy proposals for our upcoming legislative agenda. Learn more here! Every fall, as part of the Homes for All MN legislative agenda setting process, the coalition hears policy proposals. This process provides members and non-members an opportunity to participate in and influence the coalition’s policy agenda. The policy team solicits and accepts policy proposal applications. Click here to see the 2019/20 application. Each applicant must also complete the Core Values Assessment form. Each applicant is given the opportunity to present its proposal at a policy team meeting. The policy team solicits coalition-wide input. The policy team creates a draft policy agenda after hearing proposals, considering survey results, and weighing political realities. The entire coalition adopts, rejects, or amends the draft agenda. The adopted agenda becomes the Homes for All legislative agenda for the upcoming legislative session. Nov 2 - Homes for All MN distributes online survey to gather feedback on proposals. Check out this infographic summarizing the timeline! Anyone can submit a policy proposal application. The proposal submission process is open to members and non-members as a way to hear proposals from organizations that may not have participated with the coalition in the past and to engage organizations who believe in Homes for All’s mission. While developing a policy proposal may seem daunting for non-policy professionals, Homes for All encourages anyone who has identified a problem or need and conceptualized a solution to consider proposing policy ideas. At a minimum, your policy proposal needs to: 1) identify a problem or need and 2) present a solution. Because the coalition is developing a state legislative agenda, the solutions should require state legislation. Learn more about how to develop a policy proposal. Proposals are initially evaluated on the application form and to what extent the proposal: 1) supports the continuum of housing and services; 2) strengthens the connection between housing and services; 3) reduces barriers/improves access to stable housing; and 4) promotes choice in housing. This assessment is the first and only one of multiple tools used to guide the coalition in its policy agenda setting process. After all proposals have been presented, the policy committee meets to evaluate the political feasibility of each proposal. Then, the policy co-chairs disseminate a survey to Homes for All endorsing organizations. The survey includes each policy proposal, along with the corresponding Core Values Assessment form and the policy team’s political feasibility evaluation for that proposal. Each organization is allowed to complete only one survey. What is the role of the policy committee? The Policy Agenda Ad Hoc team convenes a series of meetings throughout the fall to facilitate the legislative agenda setting process. Team members participate in all agenda setting meetings. After hearing all proposals, the team evaluates the political feasibility of each proposal. In the past, the political feasibility analysis occurred after the processing of the policy survey. Because the Policy Agenda Ad Hoc team’s analysis influences the final agenda, in an attempt to be more transparent, the policy team now provides their political feasibility assessment with the policy survey. After the surveys are collected, the policy team meets to consider the core values assessment tool, political feasibility, and the policy survey results in order to craft a draft policy agenda to be reviewed by the full coalition. Who serves on the policy committee? What is the role of Homes for All coalition members? Every organization that endorsed the coalition’s previous legislative agenda is able to vote on the policy agenda. Research the issues, and incorporate facts into your proposal. State the problem and describe how the problem affects the audience. Follow the statement of the problem with a proposed solution. If you’re requesting appropriations, specify the amount.